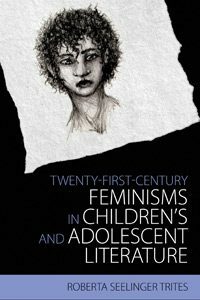 At a time when feminism struggles to find an appreciative audience with young people, Twenty-First-Century Feminisms in Children’s and Adolescent Literature by Roberta Seelinger Trites offers convincing arguments for its relevance by showing how contemporary feminisms inhabit literature written for children and adolescents. Throughout this book, Trites reflects on the ways in which literature for young people continues to employ various forms of feminism to break down barriers in ways that empower girls regardless of whether they identify with the gender they are assigned at birth. She also considers where the literature falls short by relying on gender stereotypes and hierarchies. In mounting her argument for a material feminist approach, Trites reflects on how her own theoretical position has changed from a heavy reliance on language and discourse in her early book Waking Sleeping Beauty: Feminist Voices in Children’s Novels (1997) to recognising the value of a tripartite framework – language, discourse, embodiment – in Twenty-First-Century Feminisms in Children’s and Adolescent Literature (2018). Instead of privileging the discursive over the material, material feminism aims to understand the material in discursive terms. While Trites acknowledges the lived experience of bodies, her book is not based on empirical research. Rather, she quite rightly notes that children’s literature can only represent the material body. In so doing, children’s literature exposes its readers to the many aspects of materiality – human embodiment, toys, physical spaces and geographies, and the environment. Her approach throughout this book is to demonstrate the value of multiple perspectives by asking ontological questions about how gender intersects with the material world. Trites reasons that by adding a material feminist lens to her analytical framework, she is able to frame her analyses of texts to take account of how ‘youth’ is a multi-faceted stage of life that involves complex interactions among embodiment, discourse, the environment, technology and culture. Chapter 1 provides the theoretical foundation for the book, considering how material feminism offers a way for examining the individual in terms of the interactions of the material and discourse. It begins with a review of how different feminisms have defined being female in various ways: in physical/biological opposition to maleness (Adrienne Rich; Mary Daly); as a social construct (Jacques Derrida; Michel Foucault); as a gender performance (Judith Butler); as a process-of-becoming (Giles Deleuze). The chapter also considers how by attending to being (ontology) and knowing (epistemology) new opportunities are created for interrogating the process-of-becoming inherent in the gendered experience of adolescence (Karen Barad). The final section of the chapter applies these theories to the feminist YA novel Beauty Queens (2011) by Libba Bray. Chapter 2 examines issues of age as they intersect with other forms of oppression including gender, race, ability, and class. By drawing on the theoretical work around intersectionality (which recognizes all forms of oppression) and aetonormativity (aged-based norms), the chapter analyses five narratives to consider how these perspectives work with the material to show how writers are attempting to destablise binaries of race (white/non-white), gender (male/female), and age (young/old). Texts include: Christopher Paul Curtis’s The Mighty Miss Malone (2012); Pam Muñoz Ryan’s Becoming Naomi Léon (2004); Phillip Hoose’s Claudette Colvin: Twice Toward Justice (2009); Jacqueline Woodson’s Brown Girl Dreaming (2014); and Sherri L. Smith’s Flygirl (2008). Chapters 3 and 4 are particularly pertinent to NaChiLit. Chapter 3 demonstrates how ecofeminism extends the concerns about oppression and material feminism by showing that the body is always enmeshed with the physical world. Drawing on the work of children’s literature scholars (Alice Curry; Bradford et al. ; Beth Pearce), ecofeminists (Greta Gaard; Donna Haraway; Karen Barad), and feminist geographers (Linda McDowell; Robyn Longhurst; Doreen Massey), the chapter examines how a selection of ecofeminist children’s ‘realist’ fiction (historical and contemporary realism) link environmental awareness to the lived materiality of maturing girls. Texts include Karen Hesse’s Out of the Dust (1997), Jacqueline Kelly’s The Evolution of Calpurnia Tate (2009), Angela Johnson’s Heaven (1998), Jewel Parker Rhodes’ Ninth Ward (2010), and Margaret Mahy’s Kaitangata Twitch (2005). Trites concludes that in the best of these ecofeminist novels, the protagonists transcend language and/or employ it to understand their environment. They also recognize how their own embodiment is affected by the environment and they respect the way that nature’s agency informs existence. Chapter 4 deploys ecofeminism and material feminism to explore embodiment in the focus texts and how neoliberalism complicates twenty-first century feminisms in adolescent fiction. Key theorists include Elizabeth Grosz and Susan Bordo. She concludes that the texts range from those that offer successful examples whereby female protagonists reject heteronormative love triangles and critique neoliberalism (e.g. The True Meaning of Smekday by Adam Rex; Orleans by Sherri L. Smith), to those that objectify the female body, where even the female protagonists participate as objects of exchange in male homosocial love triangles (e.g. The Hunger Games by Suzanne Collins; Daughter of Smoke and Bone by Laini Taylor; Starters by Lissa Price). Chapter 5 considers how sexuality is linked to materiality but is also interpreted, represented, performed and lived in ways that involve the discursive. The chapter explores the interrelated aspects of sexuality, orientation, and gender identification in YA literature. It reviews the work of children’s literature scholars on queerness and sexuality (e.g. Kerry Mallan; Lydia Kokkola; Michelle Ann Abate & Kenneth Kidd; Amy Pattee) and feminist and queer theorists (Judith Butler; Eve Kosofsky Sedgwick; and Michael Warner). Finally, chapter 6 posits that a feminist ethics of care (Nell Noddings) argues that identity formation occurs within a matrix of human interactions, the environment, and the material. From this starting point, the chapter analyses the rhetorics of caring and cooperation both in feminist intersections with Disability Studies (Rosemarie Garland-Thompson) and with narrative theory and reader response in a selection of YA fiction. Chapter draws on work of children’s literature scholars: Lissa Paul; Holly Blackford; Kerry Mallan, and Sara K. Day. One of the most significant achievements of Twenty-First-Century Feminisms in Children’s and Adolescent Literature lies in showing the value of multiple perspectives by attending to the discursive, ontological and material aspects of textual representations of gender. Trites deftly demonstrates the usefulness of a material feminist critique through close reading of selected texts that engage with twenty-first century feminist concerns regarding female empowerment amidst growing social, economic, technological and environmental challenges. It is disappointing that the range of fiction is restricted largely to North American examples and does not include picture books. Despite this limitation, the book provides both students and experienced scholars with accessible accounts of how children’s literature engages with critical issues and concerns that impact the lives of young people. It also offers a springboard for further research into how material feminism can be a helpful means for the reconceptualization of nature with respect to the material, discursive, human, nonhuman, corporeal, and technological.